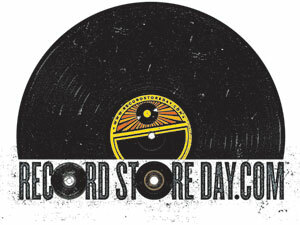 This Friday is a special edition of one of my favorite day’s of the year – it’s “Record Store Day.” What this day brings is a huge influx of vinyl records into the medium’s current catalog. Ranging from classic albums (and often times highly off-the-wall) through current releases, Record Store Day has something for everybody to enjoy. Started in 2007, Record Store Day has been celebrated on the third Saturday in April ever since, and it boasts over 300 stores around the country dedicated to the often-imitated, never-duplicated record. What started off over 5 years ago as a way to promote some smaller music stores has turned into an industry-loved event where highly respected artists release albums just for this day, and the only catch is that you have to buy it on vinyl. Due to its huge popularity, they’ve added a special ‘Black Friday’ version. I can say listening to an album on vinyl is a much more enjoyable, and rewarding experience than the current lifeblood of the music industry – the mp3 – will ever provide. Albeit, with that medium, you can listen on the go, and take your entire catalog everywhere (something I’m guilty of), it’s very refreshing to sit with an album in a nice listening environment and enjoy the real music, and all its nuance. Items that are often lost in a digital listening environment. This year’s releases do not disappoint. With reissues of The Beach Boys Surfin Safari, The Rolling Stones self-titled EP, and albums such as the man in black’s Fabulous Johnny Cash, George Jones’ United Artists Rarities, and releases from Bob Dylan, The Grateful Dead, Norah Jones, The Shins, Lucero, My Morning Jacket and more, there is bound to be something of interest for everyone. And here’s a complete list of this Friday’s releases.